DC’s Legends of Tomorrow will premiere on CW in January, but there are reports that the series is already in danger of cancellation. Bleeding Cool reported that a second season for the series is not likely because of the cost to produce the series. The news outlet shared that piece of information after an earlier report teased that Matt Ryan would join DC’s Legends of Tomorrow as Constantine for season two. The character recently popped up on Arrow. Is DC’s Legends of Tomorrow on your watch list for midseason? Will the cancellation rumors stop you from watching the series? Tell us what you think. 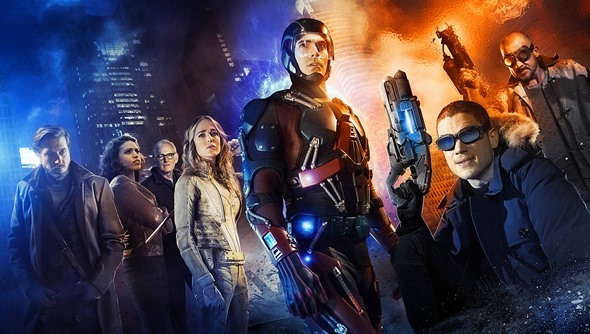 More about: DC's Legends of Tomorrow, DC's Legends of Tomorrow: canceled or renewed? I will watch it till the last episode. I watch the old shows that I’ve recorded from before. It’s one of my favorite series on TV. I really hope they don’t cancel the show. Each episode has actually gotten better as time goes on. Please don’t cancel the show. First season hasn’t even premiered yet, and they’re already talking about canceling it?? WTF?? The show has killer buzz, and trailers look great. The only thing missing is….. Constantine?? Plus, it doesn’t help that “DC’s Legends of Tomorrow” will be airing against “The Big Bang Theory” and “Grey’s Anatomy”. Big Bang Theory vs. Legends of Tomorrow? Even Sheldon and Leonard would be conflcted about that! Fortunately, nerds know how to use their DVRs. Just tell Nielsen you’re watching LOT. BBT will survive without your help. A Lot of this information is speculative at most. The only problem I see is the networks being nervous about the cost and as always time will tell. Once the show starts and the ratings are up, the producers and the networks will relax. Man, come on. The show hasn’t even started yet. Give it a chance. It’s not our fault that shows actually cost money to produce. This all sounds very tentative to me. The producers and network themselves don’t sound like they know whether there will be a season two, so we viewers should not jump to any conclusions. The trailers look very exciting and the show could have a wide enough appeal to pay for itself. The only real news here is that there is concern about the sustainability of cost, but time will tell. Agreed. It may also be a warning that the show needs to pull The Flash type ratings rather than iZombie type ratings to have a chance at renewal. @Erin Then why are you here?